DOHA, Qatar (AP) — New Zealand's climate minister on Sunday strongly defended a decision not to sign an extension of the Kyoto treaty that limits greenhouse gas emissions, saying the pact is outdated, and his country's policy is "ahead of the curve." 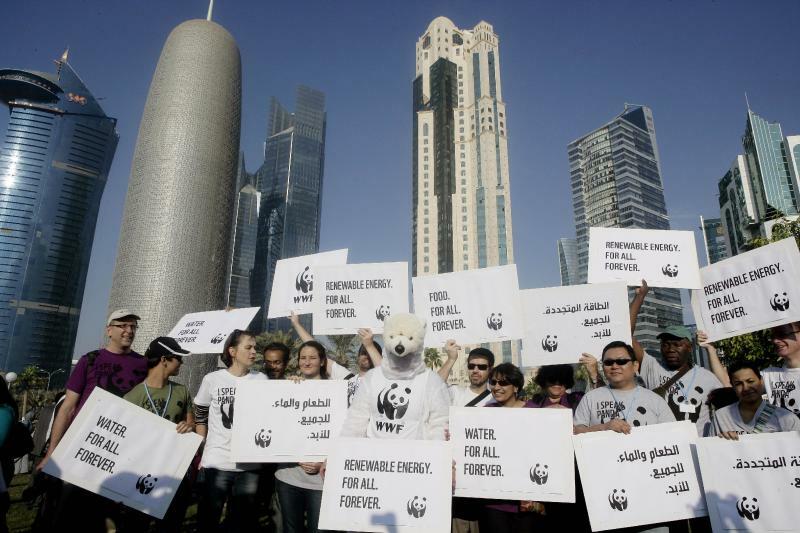 At climate negotiations entering their final week in Doha, environmentalists have criticized New Zealand for announcing it wouldn't join a planned extension of the 1997 Kyoto agreement. "This excessive focus on Kyoto, Kyoto, Kyoto, Kyoto, was fine in the 1990s," climate change minister Tim Groser told The Associated Press in an interview. "But given that it covers only 15 percent of emissions, I'm sorry, this is not the main game." Groser said the focus instead should be on creating a new pact that includes the developing countries — echoing a long-held position by the U.S., which never joined Kyoto. Most of the world's current emissions come from developing countries, and China is now the world's top emitter. The Kyoto extension, which is supposed to be adopted in Doha, will likely only cover European countries and Australia, which together represent less than 15 percent of the world's emissions. "I think it's time for green groups around the world to start to analyze this problem on the basis not of the rhetoric of the '90s, but some numerical analysis of where the problem lies today. Because it's very different," Groser said. "I just think we're ahead of the curve." Instead of binding targets, New Zealand has offered a voluntary pledge of cutting emissions by between 10 percent and 20 percent by 2020, compared to 1990 levels. The Kyoto extension is designed as a stopgap measure until a wider treaty is in place, scheduled for 2020. Developing countries have urged rich countries to make more ambitious emissions cuts until then. Groser said New Zealand wouldn't firm up its pledge until after the Doha talks. The country wants to know if it can continue using Kyoto's trading mechanism for emissions credits, which some countries say should only be available to those that set emissions targets. Climate activists accused Groser of eroding his country's green image. "New Zealand is in fact behind the play, as they have chosen not to finalize their emissions reductions targets until well after these talks, unlike most other developed countries," said Simon Tapp from the New Zealand Youth Delegation. A recent U.N. report showed greenhouse emissions, primarily from the burning of fossil fuels, have risen 20 percent since 2000. Most climate scientists say such emissions are fueling a warming trend, which could lead to devastating shifts in climate, such as flooding of coastal regions and island nations.